Apostolic Revelation: Should I Forgive Myself Or Others Or God? Should I Forgive Myself Or Others Or God? Question: Got forgiveness? 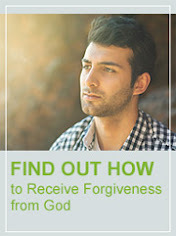 How do I receive forgiveness from God? Should I forgive myself or others or God? Answer: Greetings in the name of God's Son Jesus Christ (John 3:16)! God says in His Word, that all humans have sinned and rebelled against God through our ancient forefather Adam and Eve (Rom 5:12). Thus according to God all humans are born in in sin (Psa 51:5), live in sin (Eccl 7:20, 28, 29) and die as rebels against God in sin (Jer 28:16; Rom 5:6), thus even if a person keeps the law and is religious towards God it had no spiritual value to save His soul from sin and death, and maintain friendship with God (Rom 3:9-20). So what was God's answer to this crisis humans were facing in their day to day life? 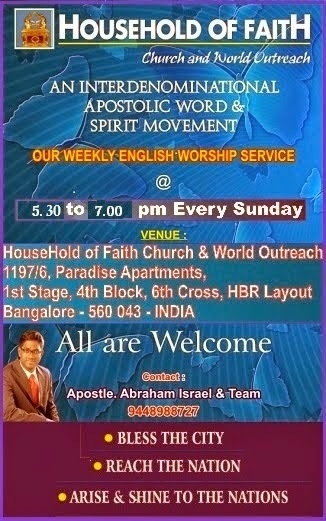 While we were ungodly and powerless against sin and death, almost losing hope of a religious life that tries to please God through the Law but in reality only increased the consciousness and failures of sin within us humans (Rom 5:6; Gal 3:19; Rom 3:20; 7:7-9), it was only spiritual diagnosis for humans that sin was present within, but never a remedy for sin. God's idea to deliver humankind from this sin problem was a fantastic one, in which God sends His only begotten Son from Heaven to earth to be born as a baby, born of the Virgin Mary, so that Jesus would be sinless (2Cor 5:21; Heb 7:26-28), He would be God, in which His infinite sacrifice could atone for all of the sins of all of the children of God (John 1:29; 11:49-52; Rev 7:9-14), in addition to being fully God, Jesus would also be fully human as only in this way could He stand in our place as a sacrifice for our sins and be our Mediator before God the Father (Job 9:32,33; Heb 2:14-17; 4:14-16; 1Tim 2:5). What a great idea God's idea is! Thus as a Mediator between between a holy God and sinful humans (1 Tim 2:5, 6), Jesus Christ could become the sin sacrifice of all of us humans, being declared by His messengers and ambassadors sent by God (1 Tim 2:7), all who heard Him and believed Him can get saved through His name (Matt 1:21). Today we come to know from the Bible that there is no other name in heaven and earth given for all mankind to get saved except the name of Jesus through which all can become saved from sin and death to become friends with God forever (Acts 4:12; Jam 2:23-24). What the law could not do, the name of Jesus did to achieve friendship with God forever (Rom 1:16; Acts 13:38, 39). Praise the Lord! Have you believed the name of Jesus? If you have believed, God has promised to save you and your household too (Acts 16:31). What a extravagant God we have! Fully throw yourself at the mercy of God in to His hand, you will be saved, as it now can only be received as a gift through the Lord God Jesus Christ, and through Him only in all the world. Especially you can do nothing before God to deserve it, or boast before Him of your achievement in receiving salvation as you know you have done nothing to gain it but rather have only received it (Eph 2:8, 9). Jesus is the only way of salvation, now all you have to do is to believe and trust Him that He has done it all, He has finished the great work of salvation on behalf of you (John 6:39, 40). What can we do for God now? Only believe Jesus whom God has sent for you and me, and all will be well according to His word for eternity ahead (John 6:28-29). Now receive God's forgiveness that He offers to you freely in the name of Jesus Christ by calling on the name of the Lord. "Dear God, I confess that I am a sinner and am sorry for all the wrongs that I have done. I believe that your Son, Jesus Christ, died on the cross for my sins. Please forgive me. I invite you Jesus, to come into my heart and life as my Lord and Savior. I commit and trust my life to you. Please give me the desire to be what you want me to be, and to always do what pleases you and do away with anything more or less from me that tries to please myself. Thank you for dying for my sins, for your free pardon, for your gift of eternal life, and for hearing and answering my prayer. Amen." Now God has heard your prayer that you have prayed from your heart to save you for sure. Now read your Bible daily asking the Holy Spirit to transform your life just like Jesus. Pray and have relationship with God daily as He has now become your Heavenly Father and eternal friend who will take care of your life. Go to a Evangelical or Pentecostal Spirit filled Church nearby and learn more from the Bible about Jesus, and how you can serve Him more and more all the days of your life. Praise God! Hallelujah! PLEASE CLICK ON THE FOLLOWING BANNER "I have accepted Christ today," if you have prayed with me the above prayer, then read MY PERSONAL FAMILY LETTER TO YOU! Now that you are forgiven by God, forgiven people forgive others (Eph 4:32). God wants you to forgive the faults of other people all your earthly life just as He has forgiven you of all your faults in Christ Jesus though you have done nothing to deserve the forgiveness He has given you (Matt 6:12, 14-15). In the same way, your great forgiveness may even be despised by others who do not deserve it too (Rom 12:18), but any way no matter what, forgive them anyway everyday no matter what many times (Matt 18:21, 22). Only hurt people hurt others, so do not be overcome by evil, rather overcome evil with good, there by allowing God to take vengeance of His in His time for His Glory through your life (Rom 12:17, 19, 20, 21). The Bible says "God is perfect in all His ways" (Psa 18:30), we need His protection, He doesn't need ours. So who has told that we need to forgive God, as though He has sinned against you (Psa 145:17), it is the lie of the enemy who is the devil and his demons who accuse God of tempting people when in fact they are the agents and instigators of it (John 8:44-45, 46, 47-48), do not believe it to be deceived (2 Cor 4:4; 2:11; 11:3). Do you know that God cannot lie to sin by words because of the impeccability of the holiness of His character (Titus 1:2)? Do you know that you cannot blame God saying, "God is tempting me," when in fact your own sin nature tempts you to sin? Do you know God cannot be tempted by evil because He knows the end from the beginning (Isa 46:10), nor does he tempt anyone but only allows in His will the temptations to test our faith and strengthen it (Matt 6:13; 4:1; Jam 1:13; Luke 22:31-32; Job 1:12; 2:6)? When you forgive others, you will forgive yourself automatically of your mistakes, and take stock of the fault you did the last time when you hurt others, and so this time, you will stay calm by the grace of God not to hurt others when they throw barb at you mindlessly. That is the way to overcome evil with good!